Make no mistake. The clipper has evolved. 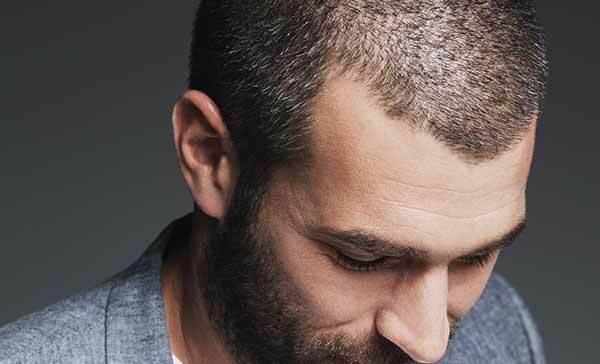 Maintain an all-over short or crew cut look, easily & accurately. Ergonomically designed in a clever circular shape, this revolutionary hair clipper fits in the palm of your hand for an easy ‘DIY’ hair cut. It’s as easy as moving your hand around your head. Advanced system cuts in any direction for smooth, fast & easy cutting. Self-sharpening precision engineered blades for the sharpest, most precise cut. 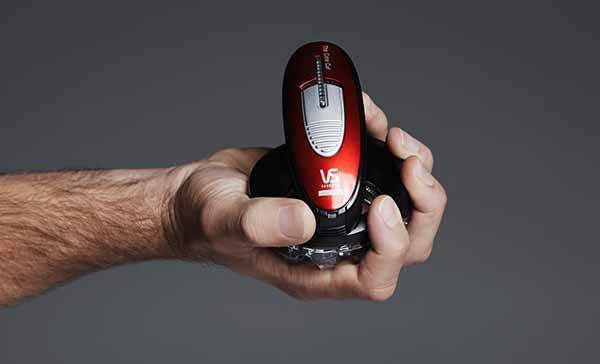 Lithium-ion battery provides enhanced power for long-lasting corded or cordless use. 60min cordless runtime or 30min quick charge for 15mins use. Or connect to mains power for corded use. Go anywhere, anytime. Lock-in comb guide for grades #1 - 4 (3mm to 13mm) for a perfect short cut. Finishing trimmer included for tidying up around the ears, neckline & sideburns. Crew Cut Hair Clipper is rated 4.5 out of 5 by 491. Rated 5 out of 5 by Scott48 from Fantastic and easy to use. I am so happy with this I don't know why I didn't get along time ago. Rated 5 out of 5 by Bernie from Excellent product Very comfortable to hold and it's very compact to, best product on the market by far thanks. Rated 5 out of 5 by BitGassy from Great product Purchased this to replace an old set of clippers and so glad I did. Very easy to use, does a great job and no cord saves me so many frustrations. Very easy to set up and change cutting height. Just make sure you clean it after each use to keep it in good working order. I give it a couple of drops of oil after each couple of uses and seems to keep it running well. Rated 5 out of 5 by Huckleberry from Efficient Quick Cheap A mate put me onto this, he’s a dodgy shearer and he said I will cut ya hair instead of paying $25 and I’m like no fear mate I’ve seen your sheep, this is a brilliant little shaver, it’s quick, it’s controllable, it’s safe, I’m stoked, used it 5 times so it’s already paid for itself. Can you use it on your back and chest? Is this device safe for someone with a pacemaker? vs Sassoon crew cut clipper - does it have cutting height adjustment, wishing to cut very short.